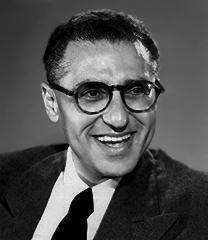 Best known in his earlier days as the man who brought many a classic costume novel to the screen, George Cukor's 50-plus year directing career later expanded to include thrillers, screwball romantic comedies, and even musicals. Sometimes labeled as a "woman's director," Cukor lead eight of his leading ladies to Best Actress- nominated performances and himself received five Best Director nominations over the course of his career. Cukor directed Greta Garbo in what is probably her most famous role, Marguerite Gautier in CAMILLE (1937), the film adaptation of Alexander Dumas' classic novel. 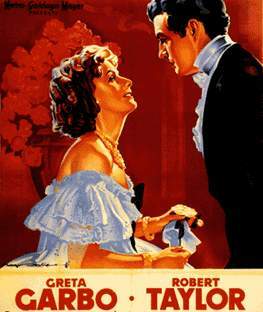 Also starring Robert Taylor and Lionel Barrymore, Garbo earned this film's only Oscar nomination, but it remains a treasured classic. 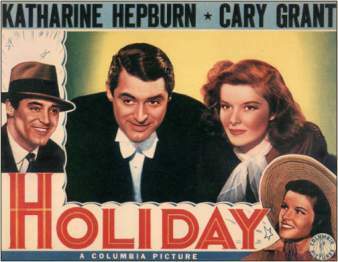 HOLIDAY (1938) starring Katharine Hepburn and Cary Grant is a classic Depression-era screwball comedy about a non-conformist (Grant) who finds more than a friend in New York society daughter Linda Seton (Hepburn). A poster from the fourth of Cukor's nine films with Katharine Hepburn, her comeback film after having been labeled "boxoffice poison," THE PHILADELPHIA STORY (1940). 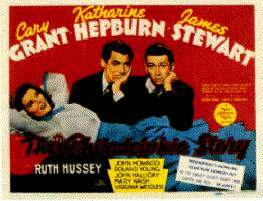 Hepburn specifically requested Cukor for this picture which also starred Cary Grant and Jimmy Stewart. She earned a Best Actress nomination and Cukor earned his second career nomination as Best Director. The film itself was also nominated as Best Picture. Nominated for seven Oscars in 1944 including Best Picture, GASLIGHT is an intriguing Victorian chiller about a man who slowly convinces his wife that she's losing her mind. Ingrid Bergman won the Best Actress Oscar for her performance and Angela Lansbury received a Best Supporting Actress nomination in this, her screen debut. 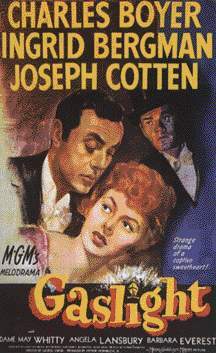 GASLIGHT also features Charles Boyer, Jospeh Cotten and Dame May Whitty.